In honor of Repeal Day, we're running an excerpt from Sasha Petraske’s Regarding Cocktails, a brilliant, bittersweet drink manual from the late creator of this century’s most influential drinking dens. This was Petraske's memo on Milk & Honey's comp policy. Below you will find the industry’s most liberal staff drinks and complimentary drink policy. Milk & Honey has always run on the Honor System, with no inventory controls, managers, camera, or evil, potentially self-aware and murderous POS machines. The Honor System, we have found, brings Honor to all concerned. Honor, and fewer Terminators. In 2005, Mr. Joseph Schwartz and I were, I believe, alone in the industry in believing that, with enough training and setup, relatively young men and women can provide the highest level of service without a salaried authority figure who does little to contribute to the actual work. At every high-end, high-presentation venue, one finds a Manager in a suit, there to supervise, prevent theft and waste, and represent the owners to the customers, over the heads of the staff, as an adult in the case of conflict or complaint. The Floor Manager in most bars and lounges draws a salary most likely larger than the theft he might prevent, symbol that the owner doesn’t trust the staff. Joseph and I set out to create a Manager-less Bar. Our policy’s length and breadth makes it crucial that it actually be followed. There is no financial space to give any more than what is described below. Our high retail markup gives us the room to give away the many and many types of free cocktails that are needed to water the garden that Harry Craddock alluded to in the cover inscription of The Savoy Cocktail Book. Staff may drink during service, but not enough to raise the blood alcohol level to 0.08. A breathalyzer is provided. The shockingly low liquor cost we run gives us this room, but barely. New York’s history is full of bars that went bankrupt even as they were packed six nights a week. As tipped employees, you are paid a literal percentage of the business’s gross, but need not contribute to the cost of the stock. A bar that gives away too many quality ingredients can bleed to death in front of one’s eyes. Staff may drink during service, but not enough to raise the blood alcohol level to 0.08. A breathalyzer is provided. 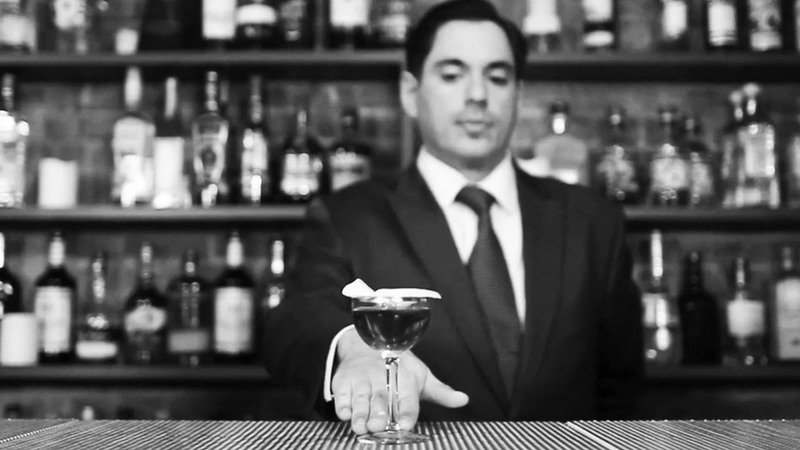 A bartender or waiter in a cocktail bar is legally and morally responsible for the safety of the people she or he serves. Decisions about services of alcohol and estimations of the sobriety of a given guest cannot be made by an inebriated person. That being said, cocktail bartenders drink cocktails. A bartender who prefers a beer and a shot to a cocktail while at work is a bit like an acupuncturist who wants to go to a Western doctor when she is sick. It demonstrates a lack of faith in one’s own medicine. Such bartenders tend to make unbalanced and overly complicated original cocktails. If there is a social imperative to toast with a customer, it is permissible to drink a one ounce portion of neat spirit, preferably an amaro, rather than a shot from a bottle of 90-proof rye that we have trouble finding six months of the year. The point of the staff drinking policy is to make one constantly investigate and improve one’s craft, not to give your already cool job the most affluent perks available. Girlfriends, Boyfriends, Spouses, Parents, etc., will not be charged for alcohol, so long as they can carry it without inconveniencing the patrons. Food will be charged at the staff discount or comped if it is perishable. Roommates, Friends, Ex-Girlfriends, etc., may have up to one free drink and one free one-ounce shot, and may not tip at all, no exceptions. They must be charged for anything past this, on your honor. Note that a regular customer that you are friendly with but only socialize with at the bar is not in this category. Celebrities, Food Journalists, Brand Ambassadors, Liquor/Wine/Beer Saleswomen, Bloggers, Politicians (including Community Board Members), and anyone seated with them are not given any free drinks unless it is to correct our error. Upstairs, immediately adjacent, and directly-across-the-street neighbors will be offered a half-size free drink or one free one-ounce shot, and should tip. Anyone with a cat on his shoulder (but not a dog or a bird) gets one free drink; the cat gets a bowl of milk. Schoolteachers, Firefighters, Active-Duty Military, Senior Citizens over the age of 75, and single women or couples dressed, for real, like it’s before the Second World War (I’m talking Boardwalk Empire level of dressed up) get one free drink, and should tip. Paying customers should be charged for every drink they order unless it is to make up for slow service or other mistakes on our part, or, of course, Bartender’s Choice drinks that are not to the customer’s taste. Drinks to encourage repeat business and healthy tipping should be sent with our compliments, in portion sizes half the usual amount. Staff has complete discretion to send one (and only one) per customer. Thought should be given to the guest’s safety as far as the drink’s ABV, and to timing as far as turning tables when guests are waiting. Base spirits that cost the house more than thirty dollars per 750 ml bottle should not be used except in the rarest of cases. Perishable wines can be comped at last call if there is only one glass left. Unless the guest requests it specifically, our bottled beers should be avoided as a comp, as this costs us three times what a shot costs. Excerpted from Regarding Cocktails by Sasha Petraske with Georgette Moger-Petraske, Phaidon 2016.